As designers who look at cabinets all day long, our first instinct when we come across a picture of a beautiful kitchen is to pay attention to the style of cabinet that has been used. We realize not everyone understands or can see the difference, so we thought it might be helpful to give you a little Cabinet Style 101. 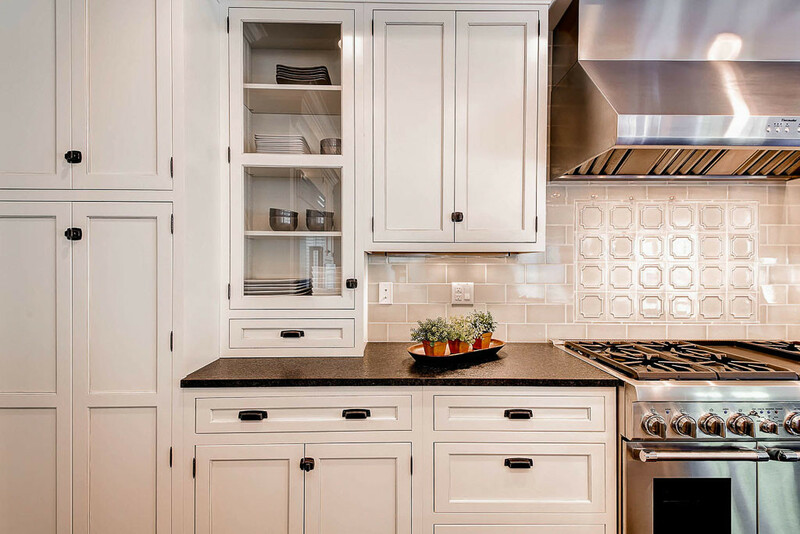 Understanding the differences of cabinets, may assist you in discerning what it really is that you love about your dream kitchen. Is it the color or the wood specie? Is it the door style? Is it the fact that the cabinets are inset or are they full overlay? If I just lost you with those terms, then this little Cabinet Style 101 post is for you! Cabinets construction at its most basic form is a box made from two sides, a top, and a bottom. There are two types of cabinets: Framed and Frameless. The difference between the two is whether or not the cabinet has a face frame, which is a 1 1/2 inch frame on the front of the cabinet. Simple enough? Framed = cabinet with a face frame. Frameless = cabinet without a face frame. Let’s start with Framed. The addition of the face frame might give you a more furniture look when you open the doors and has a little more substance with the frame. The style of Framed cabinets is determined by how you position the doors on the face frame. Framed cabinets with a Standard Overlay (doors are partially covering the face frame) is when the face frame is the most visible. A Framed cabinet also gives you the option for Full Overlay (doors fully covers the face frame) or an Inset (the doors are set back inside the face frame) option. Now, a Frameless cabinet will not have a face frame, which yields slightly bigger drawers and tighter, sleeker lines between the doors. This is a more European style and is often, but not always, used in modern spaces for the clean style. It is also great for kitchens that are very small and where every inch of space counts. Hopefully, this will help you narrow down exactly which cabinet style you love and want for your own dream kitchen!